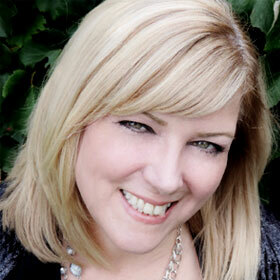 Brenda Drake is the New York Times bestselling author of THIEF OF LIES, GUARDIAN OF SECRETS, and ASSASSIN OF TRUTHS of the Library Jumpers series, the Fated series, and THUNDERSTRUCK. Look for her upcoming release, ANALIESE RISING, coming January 8, 2019. She grew up the youngest of three children, an Air Force brat, and the continual new kid at school. 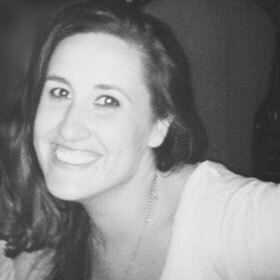 She’s the founder of Pitch Wars and #PitMad. When she’s not writing or hanging out with her family, she haunts libraries, bookstores, and coffee shops, or reads someplace quiet and not at all exotic (much to her disappointment). Brenda is represented by Peter Knapp at The Park Literary Group. FUN FACT: She came up with the idea for Pitch Wars while watching Cupcake Wars on T.V. in 2012. 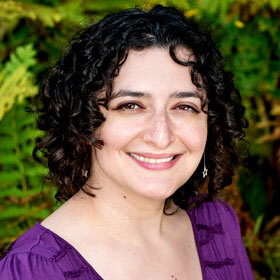 Sarah Nicolas is a recovering mechanical engineer, library event planner, and author. They are the author of KEEPING HER SECRET. Sarah has published both traditionally and independently, and has also worked in the publishing industry in multiple roles. Sarah’s been a Pitch Wars mentor since 2012. They also write for Book Riot and are represented by Rebecca Podos. Kellye Garrett is a Pitch Wars mentee-turned-mentor. 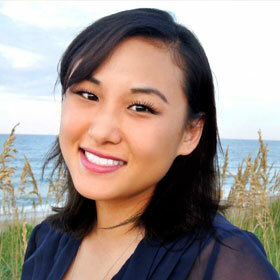 After being selected as a mentee in 2014, she sold her Pitch Wars novel HOLLYWOOD HOMICIDE (then called IOU) to Midnight Ink. The story about a semi-famous, mega-broke black actress who investigates a hit-and-run she witnessed won the Agatha, Anthony, Lefty and Independent Publisher “IPPY” awards for best first novels. HOLLYWOOD ENDING, the second book in the series, was named a best mystery of 2018 by Suspense Magazine, Book Riot and CrimeReads, which called it the most fun book of the year. It was also recently nominated for a Lefty Award for Best Humorous Mystery. Prior to writing novels, Kellye spent eight years working in Hollywood, including a stint writing for Cold Case. She now works for a leading media company and serves on the Board of Directors for Sisters in Crime as the organization’s Publicity Liaison. 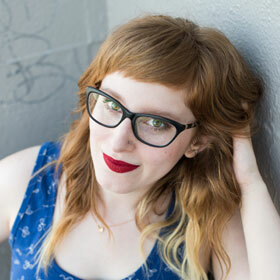 Rachel Lynn Solomon writes, tap dances, and collects red lipstick in Seattle, Washington. She is the author of the contemporary YA novels YOU’LL MISS ME WHEN I’M GONE, OUR YEAR OF MAYBE, and TODAY TONIGHT TOMORROW (summer 2020), all from Simon & Schuster/Simon Pulse. Once she helped set a Guinness World Record for the most natural redheads in one place. She has been a Pitch Wars mentor since 2014. Sonia Hartl is a YA contemporary and mystery writer rep’d by Rebecca Podos of Rees Literary Agency. She’s been a Pitch Wars mentor since 2015, and lives in Grand Rapids, MI. Whenever she’s not writing she likes hanging out with her two kids or trying out new breweries, but not at the same time. 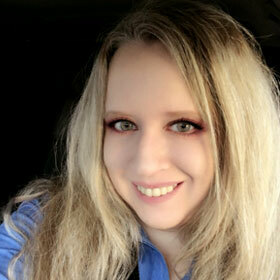 Leigh Mar is a marketing and communications professional and a young adult author represented by Elana Roth Parker at Laura Dail Literary Agency. She loves to travel (both in reality and through fiction), has an excellent sense of direction, and only ever gets lost on the internet. She was a Pitch Wars mentee in 2015 before becoming a mentor in 2016 and 2017. Gail Nall lives in Louisville, Kentucky with her family, Bagle puppy, and more cats than necessary. She once drove a Zamboni, has camped in the snow in June, and almost got trampled in Paris. 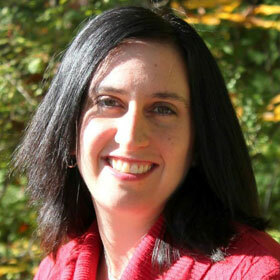 Gail is the author of the Aladdin/S&S middle grade novels OUT OF TUNE, BREAKING THE ICE, the YOU’RE INVITED series (co-authored with Jen Malone), and BEST. NIGHT. EVER. (co-authored). 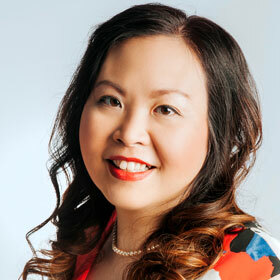 She is also the author of the young adult novel, EXIT STAGE LEFT (Epic Reads Impulse/HarperCollins). She served as a Pitch Wars mentor in 2013, 2014, and 2016. Juliana is a Middle Grade fantasy author represented by Natalie Lakosil of the Bradford Literary Agency. When not writing about strange and dreamy magic, she teaches Kindergarten and lives in anticipation of adventure. She freelance edits and has mentored other writers through Pitch Wars since 2014. 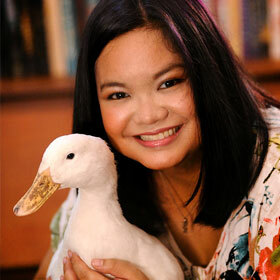 Gail D. Villanueva is a Filipina author based in the Philippines. She has 24 years of web design and development experience under her belt, and runs a home-based creative agency with her husband in the outskirts of Manila. Gail considers herself a dog and duck whisperer. She loves pineapple pizza, seafood, and chocolate, but not in a single dish together (that’s gross). She is represented by Alyssa Eisner Henkin of Trident Media Group. Gail’s debut middle grade novel, MY FATE ACCORDING TO THE BUTTERFLY, will be published on July 30, 2019 by Scholastic Press. She was selected as a Pitch Madness participant in 2015 for a different novel, and was a Pitch Wars mentor in 2017. Laura Brown lives in Massachusetts with her quirky family, consisting of her husband, young son, and two cats. Hearing loss is a big part of who she is, from her own Hard of Hearing ears, to the characters she creates. She has two books out with Avon, SIGNS OF ATTRACTION and FRIEND (WITH BENEFITS) ZONE. Her upcoming books include A PERFECT MISTAKE by Lakewater Press and MATZAH BALL SURPRISE by Entangled, both expected to publish in 2019. She’s been a Pitch Wars mentor since 2016 and even though she was never a mentee, she credits the contest for helping her grow as a writer. Ernie Chiara is a writer and artist from the Boston area. He loves to write about people with complex lives and hardened exteriors, people we’d pass on the streets without a second glance. 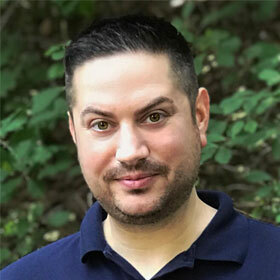 When he isn’t writing or doing freelance graphic design, Ernie enjoys playing with his kids, painting, binge-watching Netflix shows, celebrating his friends’ successes, and reading as many books as humanly possible. He was a 2016 Pitch Wars mentee, is rep’d by Michelle Richter of Fuse Literary, and is passionate about giving back to the writing community. 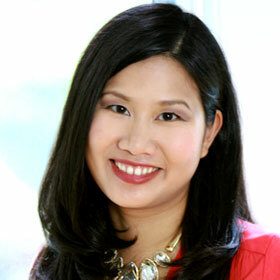 Kat Cho used to hide books under the bathroom sink and then sneak in there to read after bedtime. Her parents pretended not to know. This helped when she decided to write a dinosaur time-travel novel at the tender age of nine. Sadly, that book was not published. She was a Pitch Wars YA mentor in 2017. Kat’s YA contemporary fantasy debut, WICKED FOX, comes out with Putnam Books for Young Readers/Penguin Random House in 2019. Rajani LaRocca writes middle grade novels and picture books when she’s not practicing medicine. She grew up in Louisville, Kentucky with her nose forever buried in a book, and now lives in the Boston area with her family. She is represented by Brent Taylor of Triada US. 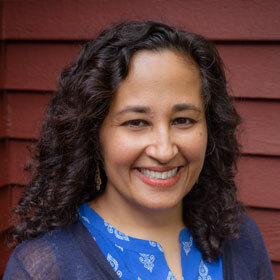 Her foodie Indian-American middle grade debut, MIDSUMMER’S MAYHEM, will be published on June 4, 2019. She spends much of her free time baking and trying unsuccessfully to resist eating the fruits of her labors. 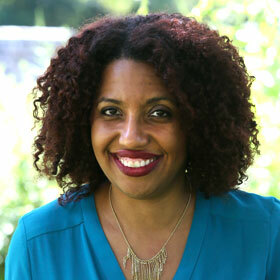 She was a 2017 Pitch Wars mentee, and is a 2018 Pitch Wars Middle Grade mentor. 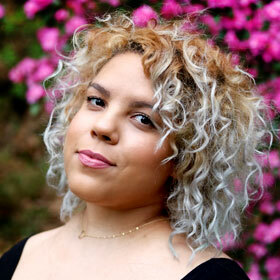 Claribel A. Ortega is a former reporter who writes YA & MG fantasy inspired by her Dominican heritage. When she’s not busy turning her obsession with eighties pop culture, magic and video games into books, she’s traveling for her day job in book marketing or making GIFS for her small graphic design business, GIFGRRL. She was a Pitch Wars YA mentor in 2017. Her debut middle grade novel GHOST SQUAD will be released in 2019 by Scholastic. 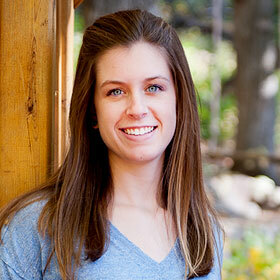 Auden Wiley is a YA author represented by Lauren MacLeod at The Strothman Agency. 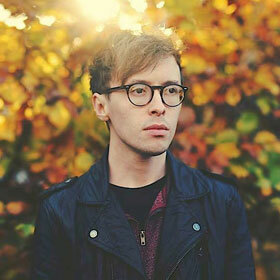 Beginning his career in the British film and television industry, Auden now lives and works in beautiful British Columbia with his husband, their guinea pigs and cheeky miniature dachshund, Tilly.